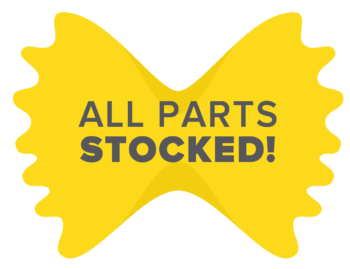 All parts are stocked FOB Lancaster, PA at the Arcobaleno Factory. Order today, ship today! Fill out the form and submit your part order and someone will be in contact with you shortly. Attach any photos or videos of the part you need to help expedite the process with our service department.